As I’ve lived in London for over four months now (how on earth did time go so quickly?!) and loved nearly every minute, I decided it was time to write a post about this very important subject. Let’s face it; almost all of us use some sort of electronic device many times throughout the day. Be it smart phone, laptop, tablet.. They’re always around. I see a scary number of people walking down crazy-busy streets like Regent and Oxford Street - head down, completely focused on their phones. How they don’t walk into poles/people/other ‘head-down-phone-up’ (totally going to coin that phrase) people is beyond me. This isn’t necessarily always a bad thing though - there’s definitely a time and place for it. Heck, if I didn’t have a smart phone, I’d probably be constantly lost in London with nothing to do, drinking bad “coffee” from Starbucks and bored as anything on the tube. 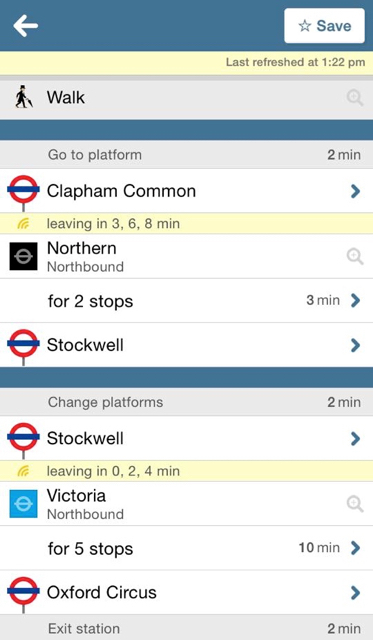 That’s why I wanted to share with you the 5 apps I couldn’t survive London without. This app is an absolute godsend. You can put in exactly where you want to go, it can find exactly where you are, and then it will calculate a whole bunch of different routes you could take, depending on price, time and mode of public transport. It’s so detailed that you can click on individual steps such as “walk from current location to the station” and it will show you a live map of where to go. 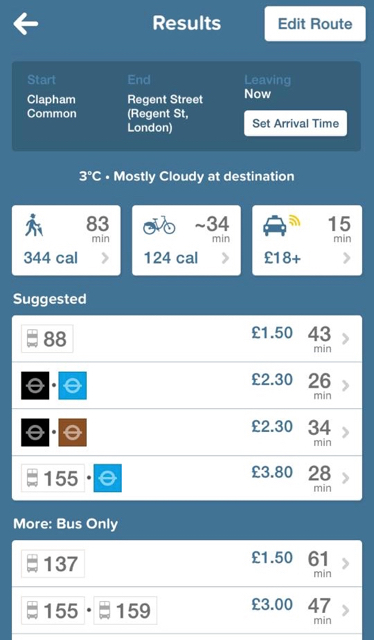 You can also view bus stops in detail – from what buses are due to arrive and when, to their routes and more. Tube delay? Citymapper will let you know. Fell asleep on the bus? 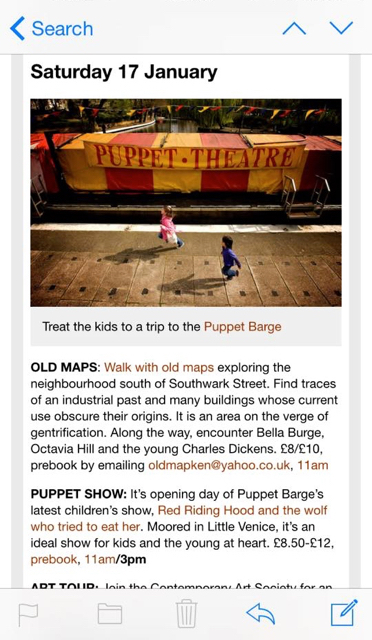 Citymapper will alert you before your stop. 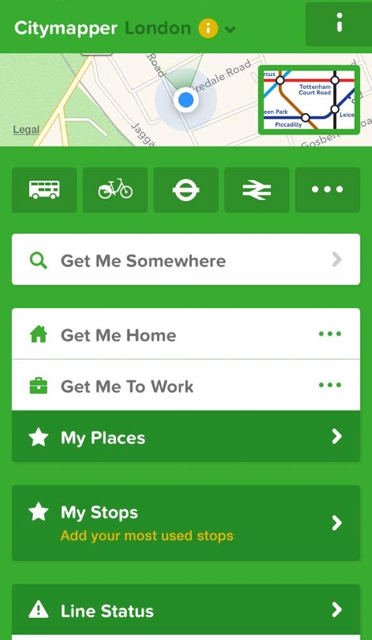 The best thing is Citymapper is not only available for London, but also a whole lot of other cities such as Paris, Berlin, Milan, Barcelona, New York, Chicago, Tokyo and more. They even have a website that you can essentially do the exact same thing from, for times when you don’t have your phone. So what are you waiting for? Go and download it immediately to make your public transport missions a million and one times easier! 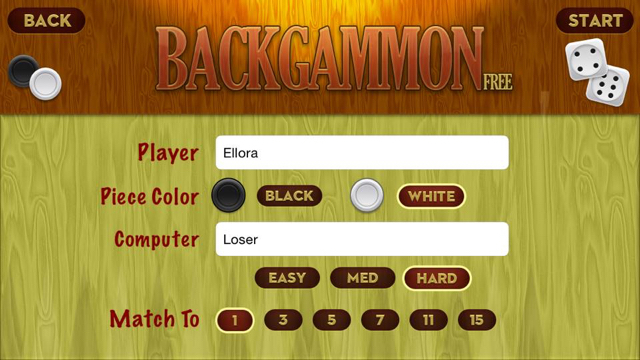 Free, available on the iTunes app store and the Google Play store. Ahhh, where to begin with this little gem.. If you don’t drink coffee, you can probably skip this one. You should also probably re-evaluate what you’re doing with your life. Have you ever been in a random part of a city, craved great coffee and just wished you could read the locals’ minds to find a specialty coffee shop rather than settling for the unappealing alternative of a high street coffee shop chain? Then this app is for you. 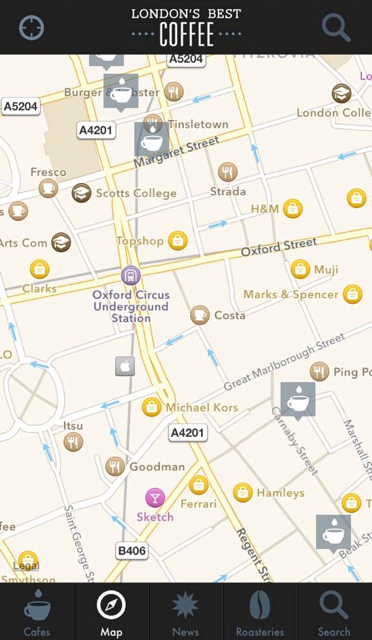 It has many features to find cafés - such as a map where you can locate yourself and see the cafés around you, a search option if you want to check out the rep of a café, their top cafés by rating, nearest cafés to you and of course, an A-Z list. 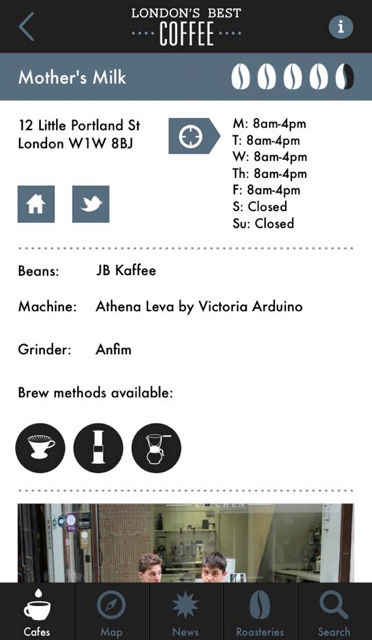 Once you’ve found a café that tickles your fancy, you are able to see a photo, their opening hours, address, nearest tube station, brew methods, the beans and machinery they use, directions AND a review. How awesome is that?! They even have a “news” section where they post updates, newly added cafés, competitions, gift ideas and some other extra goodies. They have a solid team of five people whizzing around London, constantly discovering new cafés and reviewing their little hearts out. I love love love this app and I know all of you coffee lovers out there will too. You can download it from the iTunes app store for £2.99 and on the Google Play store for £2.49. As well as this, they have a website here for the laptop/PC inclined users. Other apps by Blue Crow Media for London include Craft Beer London, The London Wine Guide, London’s Best Cocktail Bars and Burgerapp. 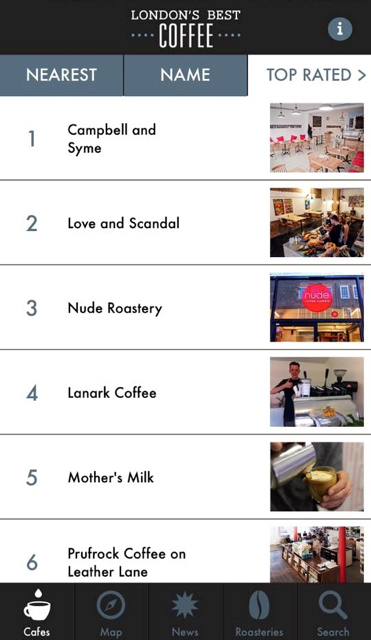 There is also a best coffee app for New York. If I had the money/time/energy, I could literally find a different concert I would want to go to every night of the week. My favourite artists are performing in London all the time and I am always in the know thanks to this nifty little app. 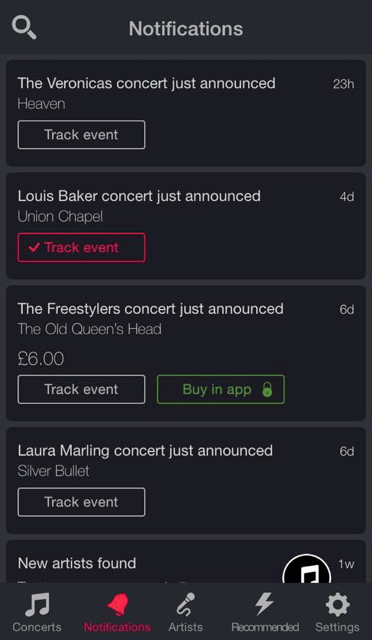 You are able to track artists and get alerts as soon as they announce a concert near you so there’s no chance of missing out on tickets! You can see when they are on tour, all of their tour dates, all of the different pricing options and even buy tickets through the app. 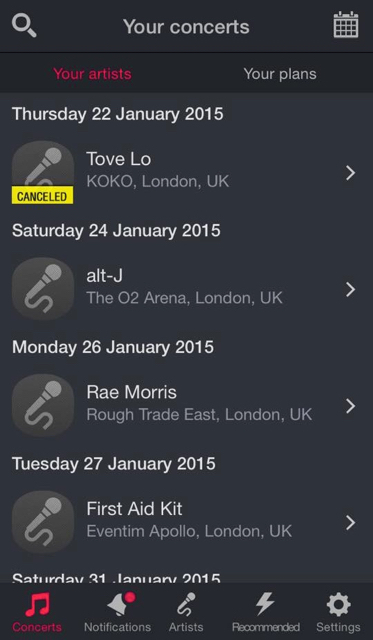 Songkick can sync up with your music library so finding artists to follow is so simple! 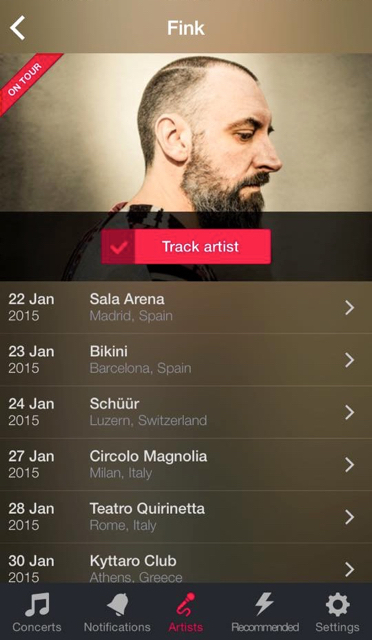 Keeping up to date with your favourite artists has never been easier. You can get the app for free on the iTunes app store and Google Play store. Enjoy pining after every concert that comes to town! Five words for you: no signal on the tube. 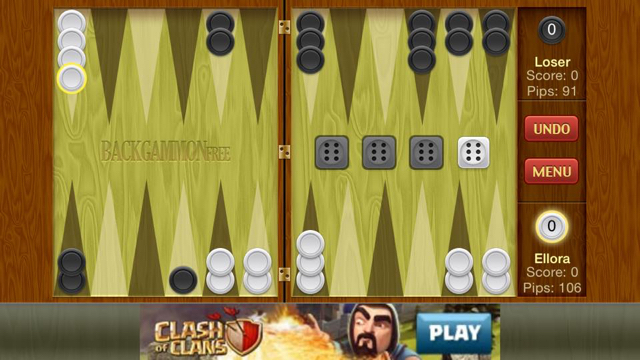 I’m a nerd at heart and adore backgammon, so I find there’s no better way to spend my 40-minute commute on the internet-less tube than playing the game on this app! I think that just about says it all. Download it for iOS for free here. Okay so technically this isn’t an app at all, but more of a website with a damn handy email subscription service. 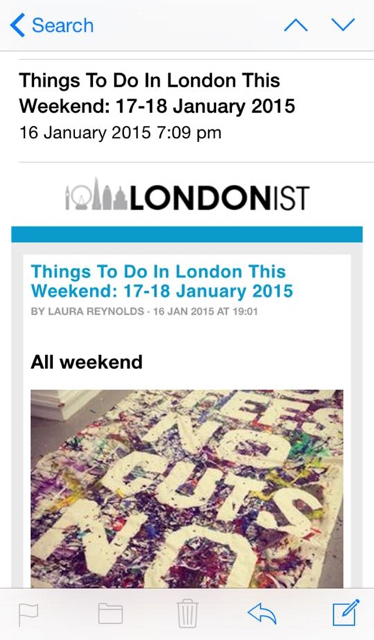 They email you nearly every evening, with the exception of Saturdays as they send a ‘weekend’ email on a Friday, with a big list of tons of cool stuff going on in London. 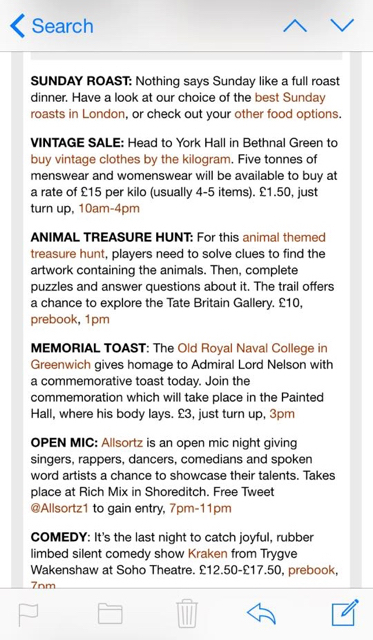 There’s something for everyone – art, cooking classes, pub crawls, new openings, best Sunday roasts, comedy shows, blood donation opportunities, even a ‘good cause of the day’ – basically everything you can dream of. Find their website here and subscribe to keep up to date with all of the crazy things going on in this city! I hope you guys have enjoyed peeking into the secrets of my iPhone and maybe found a new app to make your life that little bit easier.